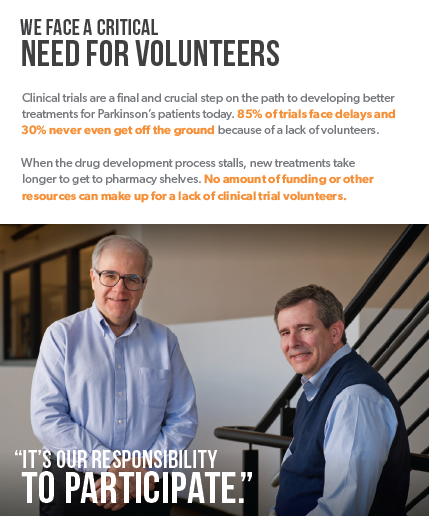 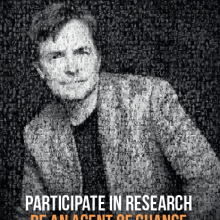 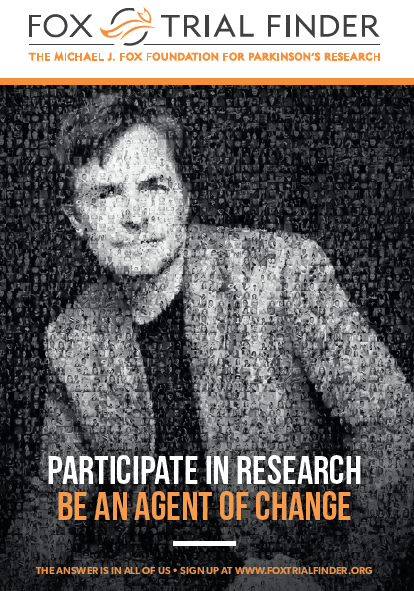 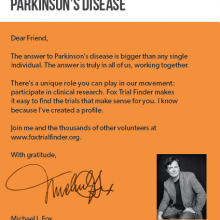 There is a website that propose clinical studies of Parkinson’s disease for healthy volunteers and patients. 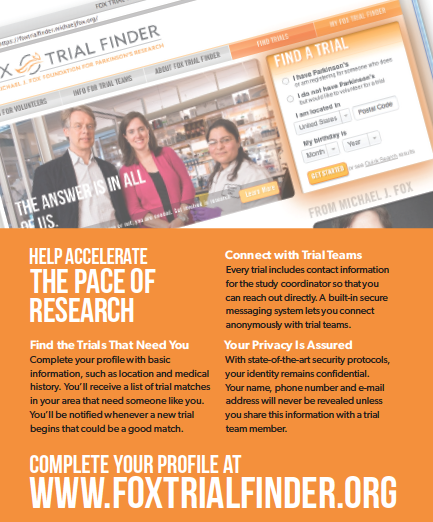 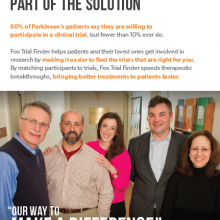 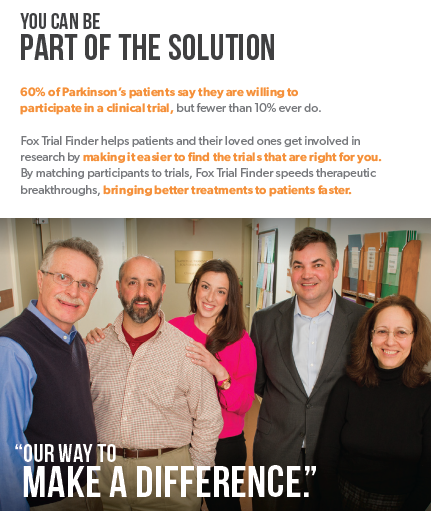 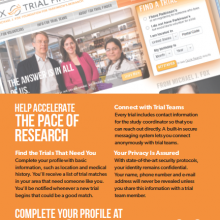 The Fox Trial Finder aims to facilitate the access of volunteers (PD patients and healthy volunteers) registered on this site in clinical research studies, offering them to participate in trials open for recruitment based on their profile. 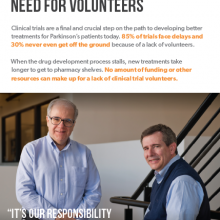 This site already includes more than 53,600 patients and volunteers across the United States, Canada, Ireland, Australia, UK, Austria, Germany, Italy, and Spain. 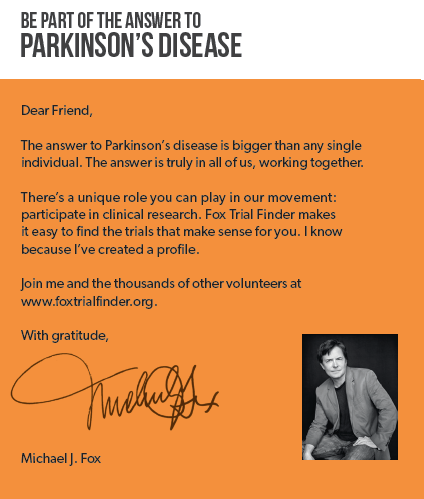 It was launched on December 11th, 2015 for France and his coordinator is prof. Wassilios MEISSNER (clinical IMN).